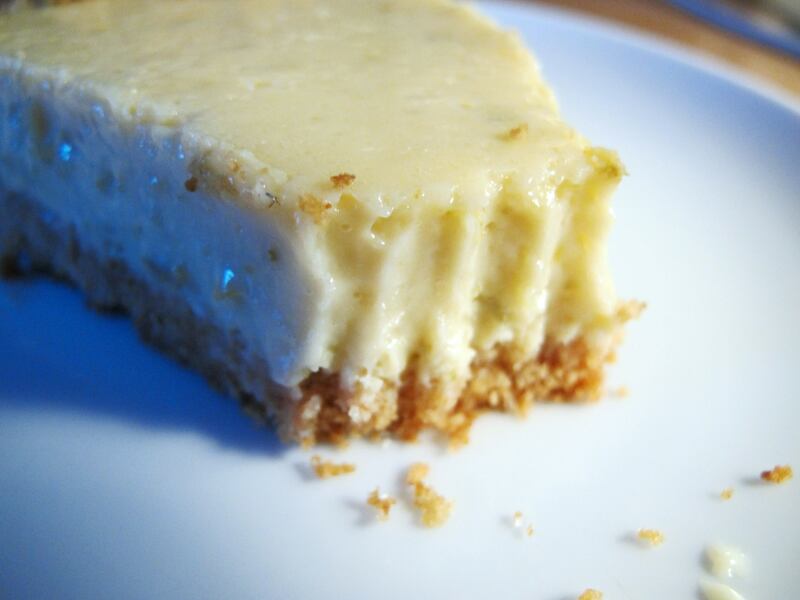 One of the most glorious food items that gets utterly ruined when people try to mass market it is Key Lime Pie. One of the biggest food faux pas is when people mistake or knowingly substitute your regular green limes for key limes, which are not the same thing at all. The key lime is a tiny thing, the size of a cherry, and looks like a yellowish-mottled kumquat. Its flavor is far less tart than its Hulkier cousin, too — instead it is sweet yet piquant, with none of the bitterness of a lemon. The pie made from it is designed especially to showcase this lovely citrus flavor, and is well worth making. 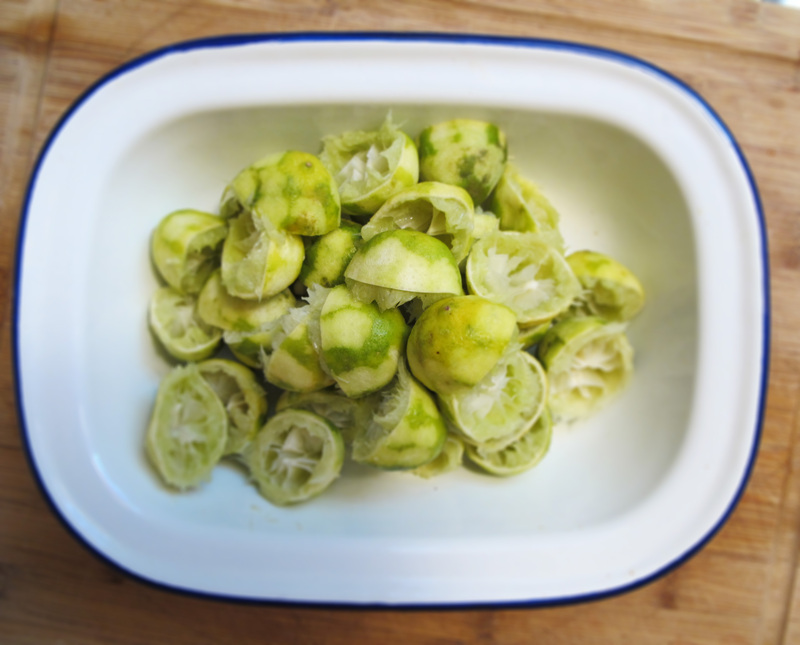 First, you’ll need to zest and squeeze 20 or so key limes. Use a plane zester and an old-fashioned glass squeezer upon which you can palm each half lime. I find myself giving it a quick press and then pinching the spent skin over the glass knob to finish it off. I also take my time, alternating with other chores; try to do them all at once and you’ll bugger up your wrist something chronic. Make a graham cracker or biscuit crumb base. If you’re American this means zapping graham crackers in a food processor (or just buying it already crumbed); if you’re British it means doing the same with Digestive Biscuits. Mix with the melted butter and sugar, press into a tin, and bake for 5 minutes or so until it’s firmed up a bit. Mix the zest in a bowl with the egg yolks and lime juice, then add the condensed milk. A tin of condensed milk out to be a pantry staple for emergencies. Be sure to use a spoon to scrape every last succulent, sugary drop of it from the tin rather than simply diving after it with your tongue. You’ll have a luscious, pale custard. Pour this into the biscuit base, set the whole thing onto a baking sheet, and pop in the oven for 15 minutes until the heat has had a chance to work its magic on the eggs. It will still seem a bit too wobbly when you take it out, but that’s OK — the next step firms it up. Once it has cooled to room temperature, put some cling film over it and pop in the fridge for a couple of hours. The finished pie will be diminutive in height, and a luxurious creamy color flecked with bits of pale green zest. Cut small slices; this baby’s rich. If there’s any left, refrigerate until midnight, then sneak out of bed and polish it off. Regular cake tin; moderate oven, cold fridge. On a dark, blustery winter’s day when you burst into the warm house after school, grabbing off your satchel and kicking off your boots in the hallway with a trickle of wet snot running to your lip, all you want is to feel like you’ve come home — and the best way to do that is with a belly full of cake. 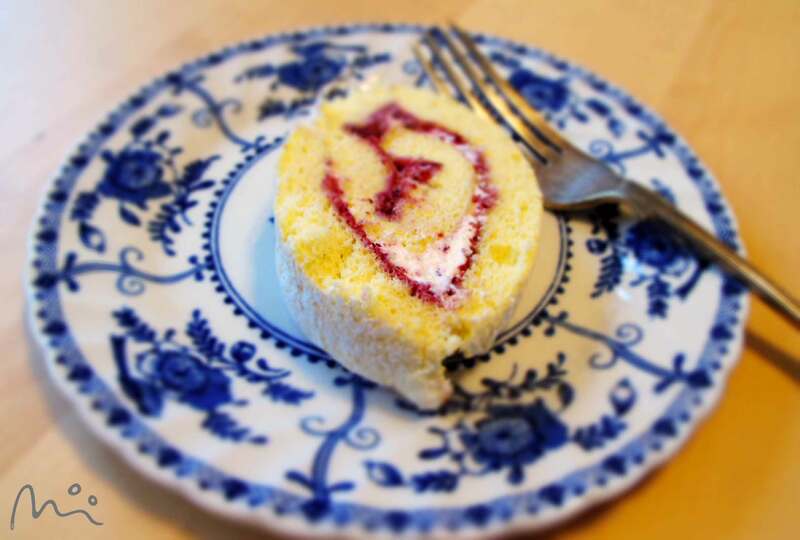 A traditional jelly roll is just such a cake. A long spiral of Génoise sponge, red jam and whipped cream, it practically oozes love, each slice a big, wet kiss. The only real secret to success is in the fat-free batter, which gives the sponge just the right flexibility to stay curled up without cracking. It tastes like sweet, moist air. I made this one with half a jar of leftover cherry jam I’d made the day before, so it also gave one the sensation of being able to eat Kirsch, though any jam will do. Pre-heat oven to 350. Line a 10 X 15 inch baking tin with parchment paper. Whip the whites with 6 tablespoons of sugar until they refuse to slide when the bowl is tipped. Whip the yolks with 4 tablespoons of sugar and a teaspoon of vanilla until it folds in on itself in big fat pale ripples. Sieve together ½ cup of cake flour with ¼ cup of cornstarch and a pinch of salt. Carefully fold some whites into the yolks, then some flour, then some whites, then some flour, etc., until you have incorporated them all together in a silky, voluminous batter. Gently spread the batter out on the baking pan and bake on a low shelf for just 10 minutes. The cake should be just starting to turn golden, and feel springy to the touch. 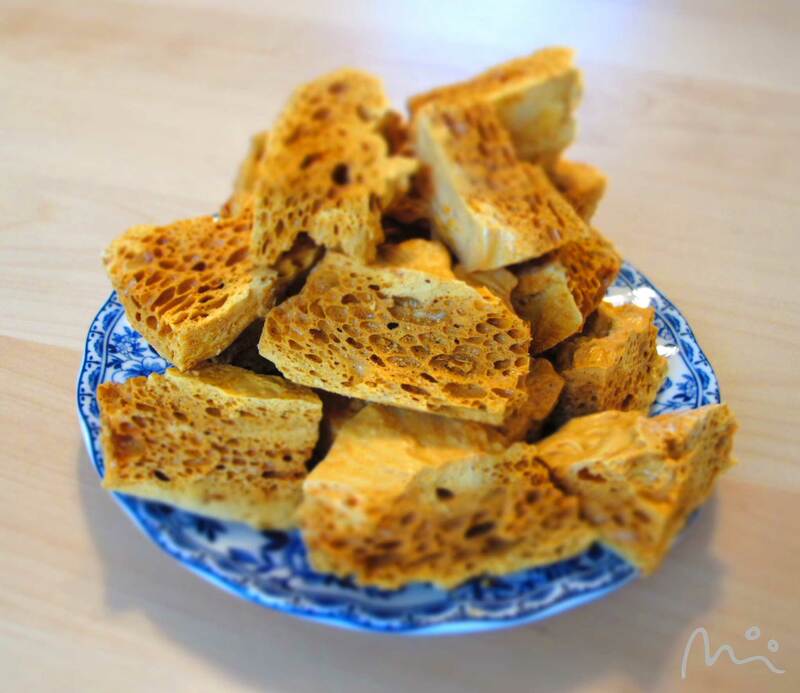 As soon as you take it out of the oven, turn the cake out onto a tea towel dredged with sugar. Peel the parchment off. Slice off one of the short ends, and use the tea towel to roll it up. Leave to cool rolled up. 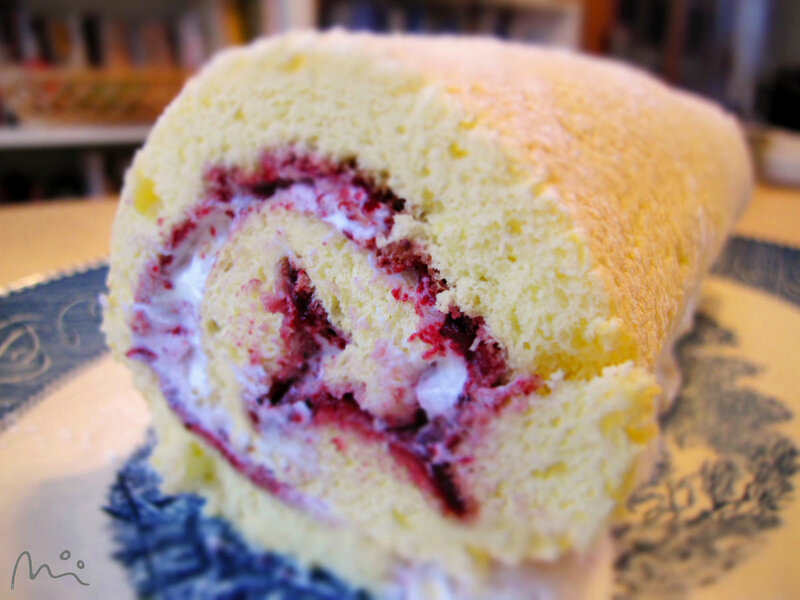 Once cooled, unroll, spread with jam and cream, and roll back up. Can there by anything more evocative of an English autumn than pulling a red hot and steaming tray of toad-in-the-hole (toads-in-the-hole? toads-in-their-holes?) from the oven, and serving them with glossy green peas and a rich onion gravy? The answer is no. If you said yes, you are wrong and must come to the front of the class and write “toad-in-the-hole is glorious” 100 times on the blackboard. Toad-in-the-hole was invented in the golden age of British cooking when a harried mother of many children and a hungry husband found nothing much in her pantry except a nice fat fist of sausages and an onion. Some of the screaming bints wanted pancakes; others wanted the sausage. The husband just sat there poking at a hole in his trousers and blowing raspberries at the baby. So she decided to please everyone and combine the two: sausages baked in batter. At least, that’s how I like to think of it. There has been much speculation over the years as to why this dish bears such a strange name, and I think I have discovered why. When I served it to my own hungry family the other day, I had just pulled the tray from the oven and set it on the stove in order to reach for a butter knife with which to pop each one out of its tin. I turned back to see the sausages bobbing up and down as if they were puppets — yet no-one was touching them. 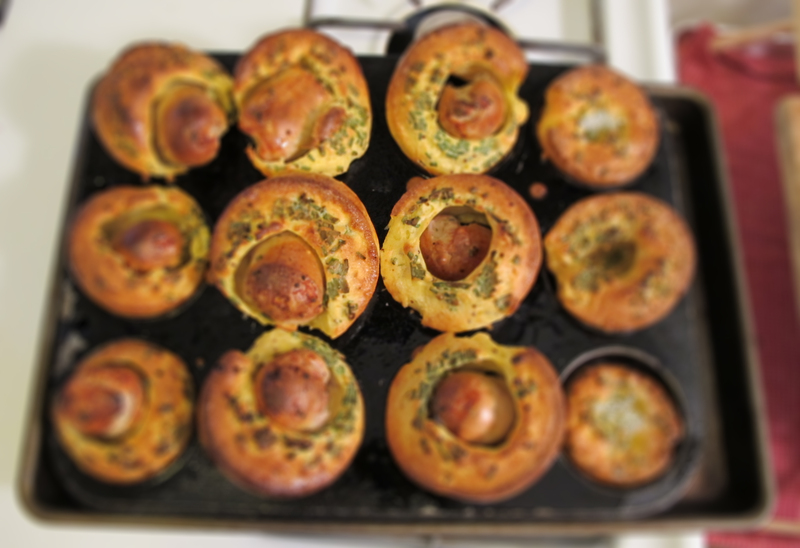 The steam trapped in the batter kept forcing them up and down, so that they popped their heads in and out of their big puffy Yorkshire pudding cases. They looked just exactly like toads appearing and disappearing from their holes! I’ve never actually seen toads doing this, but I’m fairly certain that if they did, it would look just like it. If you’ve never made Toad-in-the-hole, you must: it’s dead easy. All you have to do is make sure the oven and fat is really piping hot before you pour the batter in. Prepare batter: sift 1.25 cups flour and a pinch of salt into a bowl and crack into it 3 eggs. Pour over this 1 cup of milk and whisk until smooth like heavy cream. Stir in a generous tablespoon of grainy mustard, pepper, and a big handful of snipped chives. Set aside. Cut four big fat sausages into thirds. Into each cup of a 12-cup muffin tin pour a scant teaspoon of vegetable oil and let this heat up in the oven. When the oil is hot, stand a piece of sausage on its end in each one, and return to the oven for 4 minutes. Working quickly, spoon batter into the cups around each sausage and return to the oven for half an hour or so until each one is a huge golden puff. Be sure to leave them while they cook — DO NOT open the oven or they will not rise. Turn on the oven light to appreciate how fabulous they look while they cook. In a heavy-based saucepan, gently sauté a finely diced red onion in a tablespoon of olive oil along with a teaspoon each of dark brown sugar and balsamic vinegar until the onions are a deep brown. Remove onions. melt a big pat of butter in the pan, add 1 tablespoon of flour and cook a bit. Add to this 1.25 cups of beef stock and a dash of Worcestershire sauce, and stir until thickened. Return the onions to the pan and gently simmer until ready to use. 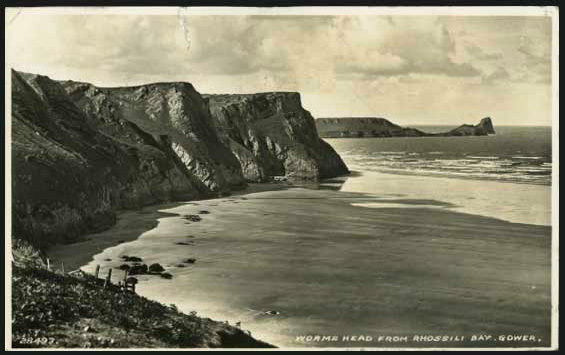 A nice shot of Madeira towards the end can’t hurt. I love honey. I love my Honey. I love both of them; the exquisite golden substance unique to nature produced by the humble honey bee and my sweetheart, whose pet name seems to embody all that is good and unique in nature wrapped up in his lovely person. The two are connected in more ways than one, however. Back when I met my Honey I was busy making honey. As a member of the Nature Department at summer camp, I was partly responsible for maintaining the hives. We had 20,000 bees (give or take) housed in a couple of those beautiful wooden hives parked at the edge of some meadows in Ohio. Every now and then we’d take brave campers out to see them, armed with nothing but a tin smoker stuffed with pine needles and set alight; you could pull a lever to emit a puff of white smoke that would temporarily subdue the bees into docile fuzzies. After removing the lid, you could lift up a frame heavy with thousands of busy writhing bodies, and sweep some off with your hand to reveal the oozing maze of honeycomb underneath. It was a big hit, not least because the kids could go back to their scaredy friends and boast of having stuck their hands into a seething hive. No bees were crushed, and no kids were stung, but I was when my summer romance with the future Mr. Honey fizzled out. At the end of the season we harvested the honey, squeezing it out of the combs and straining it off into small jars which were given to all of the staff. It was the very last of that honey to be handed out; after a hundred years or so the camp closed down after that season in 1988. Generations of Cincinnati residents had spent their summers there; it was a place where you could see graffiti your grandparents had etched into the wooden walls of whitewashed cabins, and many marriages were made of folks who had met as campers or counselors. I doubt that any of that honey still exists … apart from the single unopened jar my Honey nursed all that time, and which now sits on my mantelpiece. To anyone else it probably looks like a jar of tar, inexplicable as an ornament — but to me it is the most wonderful love token ever. Over time the honey has thickened and darkened to become incredibly dense; he tried shining a military-grade 250-lumen light through it to no avail. I like to think that jar contains the magic that brought us back together so improbably 23 years later. 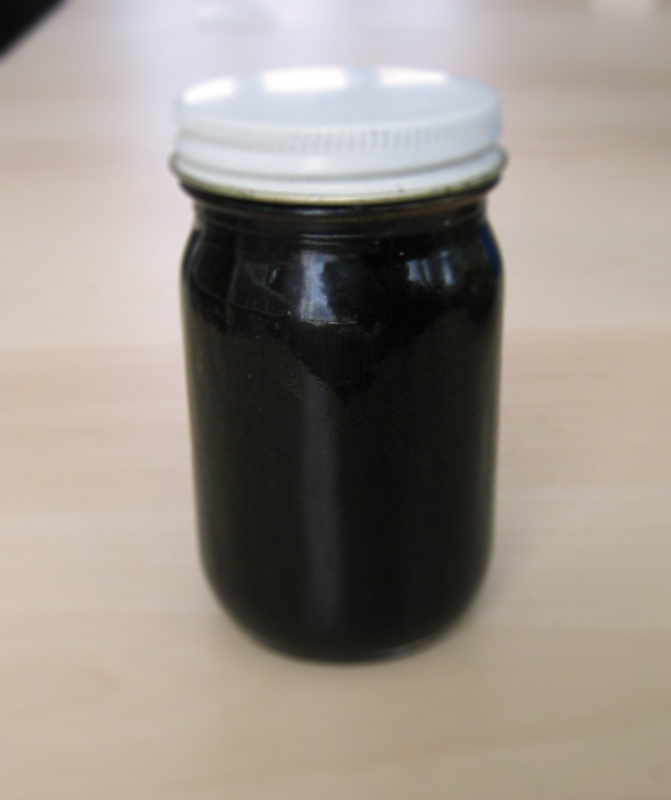 It’s not every day that you are given a jar of honey you yourself made a lifetime ago. But then again I am all a-buzz with love, so don’t mind me.